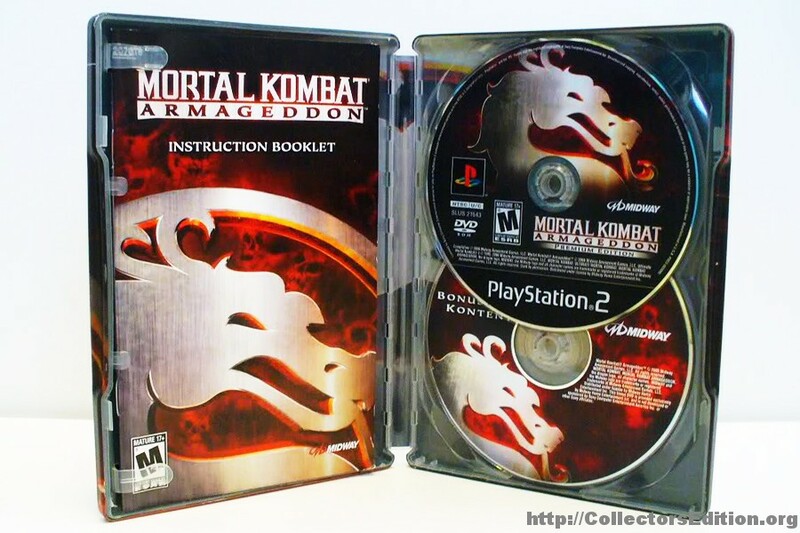 This edition was available at 4 different stores each with unique cover art. This entry was added to the database on Saturday, May 21st, 2011 at 5:31 pm by Michael Pica. This information was last updated on Saturday, May 21st, 2011 at 5:59 pm by . I also have the Kano/Sonya variant I could take pics of. 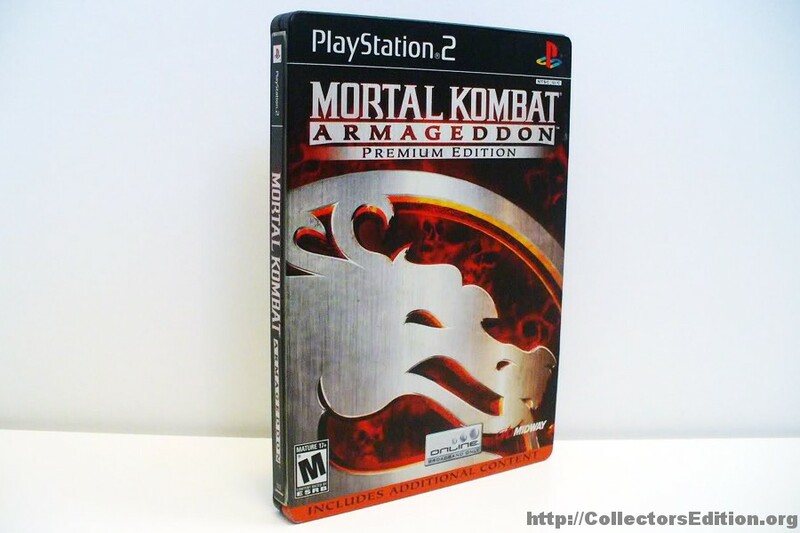 on a personal note I never even knew this edition existed, and I'm ashamed that I didn't since I'm an avid MK collector AND SteelBook fan, I'll definitely be hunting down all the different versions of this one. 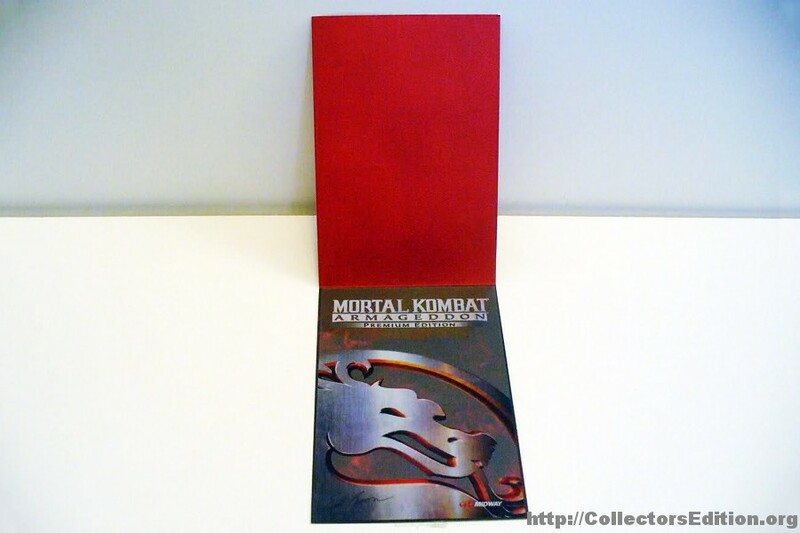 If you could take a photo of the cover of your Kano/Sonya one that would be awesome! Thanks again for this update! Sorry, I sold my Sonya/Kano one already on Amazon. So I found a cheap auction with no pictues for this on eBay, decided to take a chance and bought it. 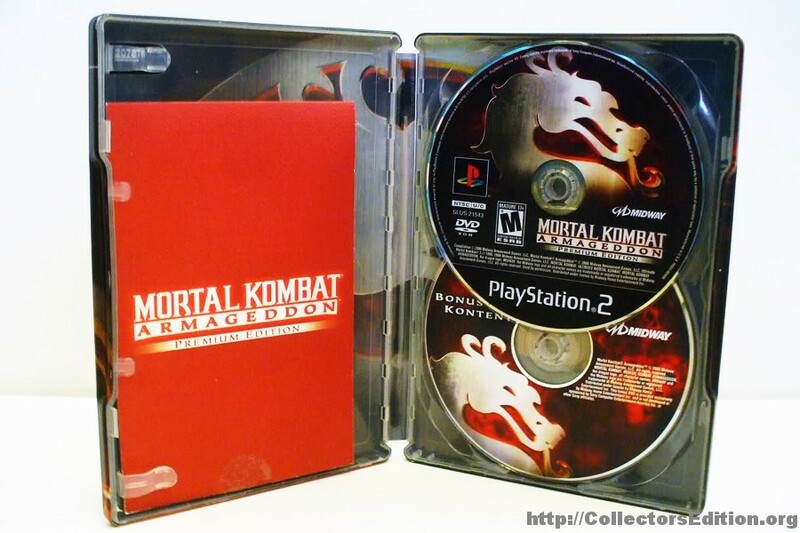 case ended up being the Shao Khan and Sindel version in perfect condition, sadly the cover cell was missing. 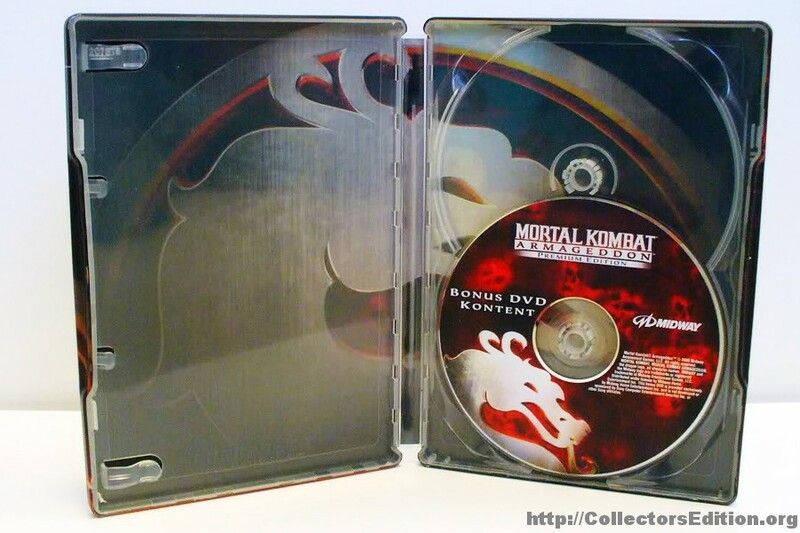 I just won a Goro/Johnny cage version complete with cell for a reasonable price. I'm hoping to pick up all 4 versions eventually. 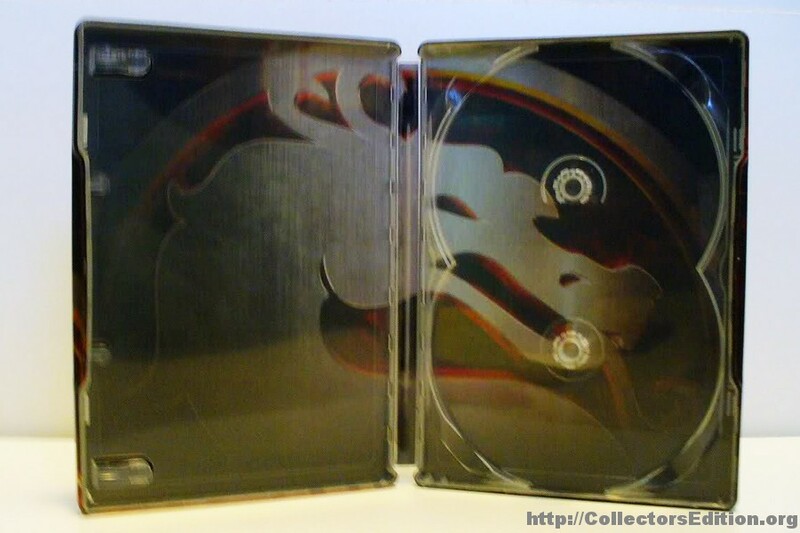 The Sonya/Kano seems to be the most difficult to locate, though the Dragon logo case seems to fetch the highest price. 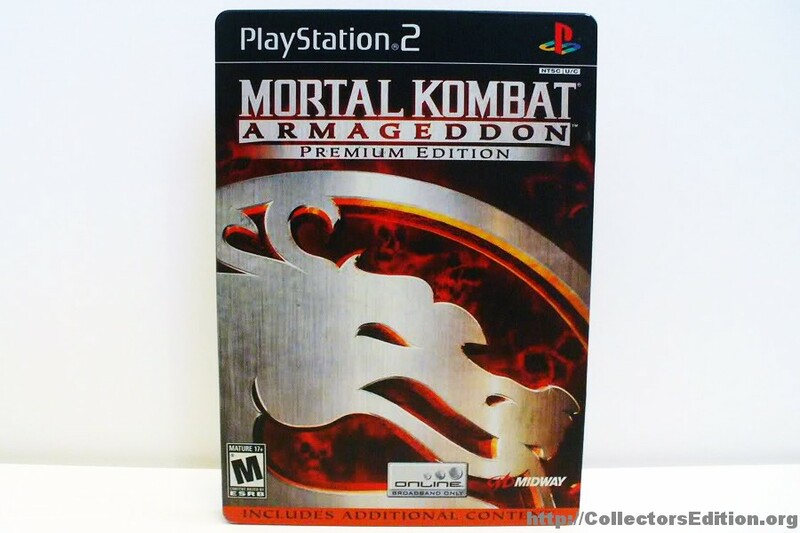 I too am hunting for sealed versions of these. I found the hole set but for $130 each!